ANIMAL DRIVE Set For Debut Album Bite! 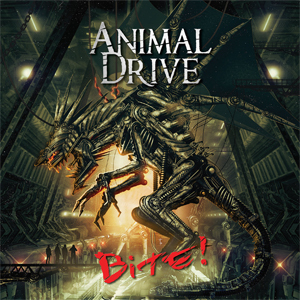 Frontiers Music Srl is excited to announce the release of ANIMAL DRIVE's debut album entitled Bite! on February 23, 2018. Pre-order and stream the current singles HERE. The first track from the upcoming release is "Tower Of Lies (I Walk Alone)" and the official video can be viewed on KNAC.COM HERE. ANIMAL DRIVE's line-up is completed by guitarist Ivan Keller, Roko Rokindja Nikolic on bass, and Adrian Boric on drums. Influenced by legendary bands such as SKID ROW (think Slave To The Grind era), WHITESNAKE at their heaviest and with a little progressive rock and metal elements from DREAM THEATER thrown in the mix, ANIMAL DRIVE take their listeners on a wild ride of hard rock bombast. Dino says: "I am more than delighted and excited to present our debut album. I hope the fans can approach our music with curiosity and interest and we hope to come soon in a town near you to Rock your asses off!" "Tower Of Lies (I Walk Alone)"
"Devil Took My Beer Again"